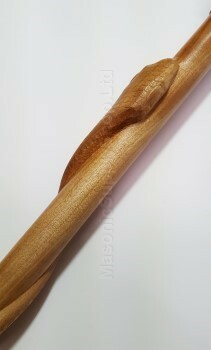 Hand made walking cane made of maple wood with unique snake carved around the shaft of the cane. Head of the cane is a Skull design. This cane is definitely a conversation starter!